The Raspberry Hazelnut Meringue Cake is soon to be your family’s favourite cake. 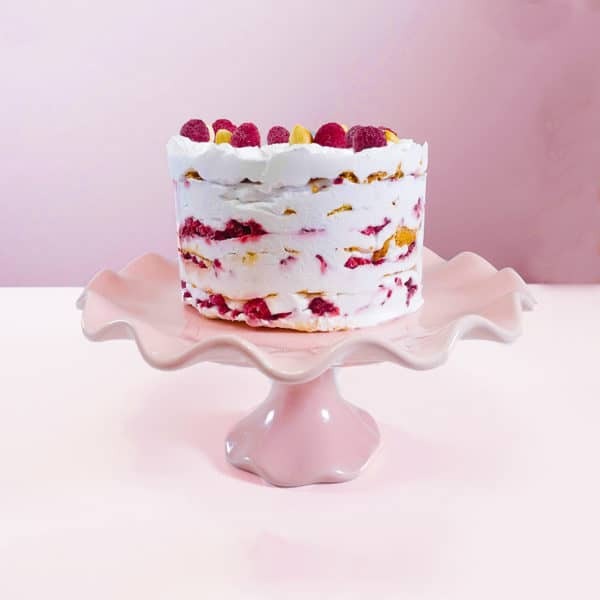 Layers of crisp hazelnut vegan meringue are topped with vanilla coconut whipped cream and frozen raspberries. The cake is topped with toasted hazelnuts and raspberries and kept naked on the outside to show off the layered effect. Scroll for ingredients and allergy info. This cake must remain and be served frozen for best results, and can be frozen up to 2 months. Easter Cakes MUST be ordered by April 14th at 11:59 PM EST. Orders after this time will not be filled. 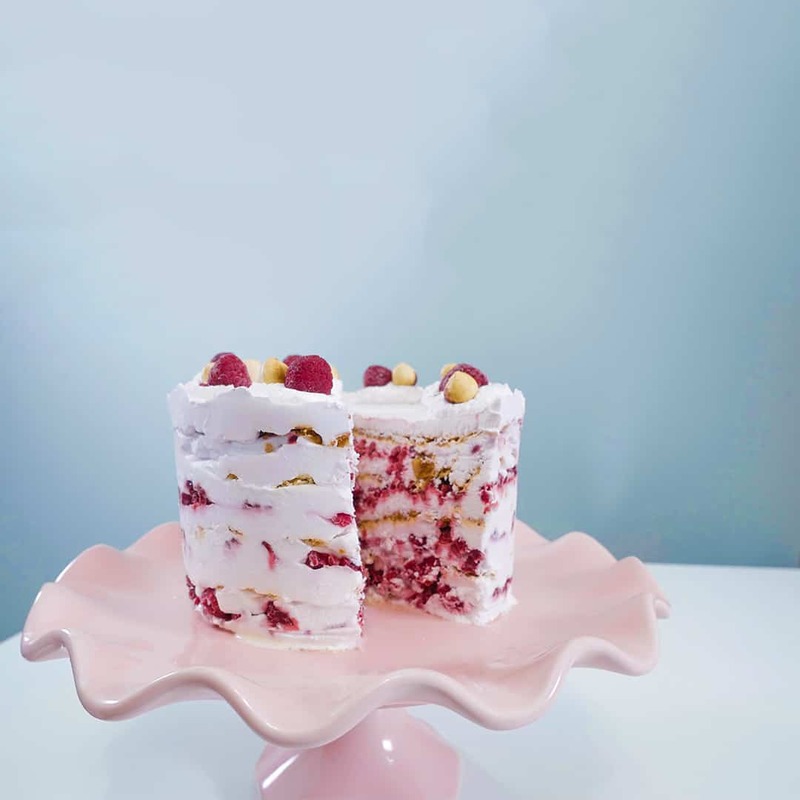 The Raspberry Hazelnut Meringue Cake is soon to be your family’s favourite cake. Katarina, our founder, has had this cake at her family holiday parties since she was young, and can almost guarantee you will fall in love with it. This cake is crisp, sweet, sour, smooth, nutty, light and creamy. We recommend going for a bigger cake as it’s likely you’ll want seconds. Layers of crisp hazelnut vegan meringue are topped with vanilla coconut whipped cream and frozen raspberries. The cake is topped with toasted hazelnuts and raspberries and kept naked on the outside to show off the layered effect. Coconut cream, icing sugar, cream of tartar, frozen organic raspberries, aquafaba, toasted hazelnuts, hazelnut emulsion. CONTAINS HAZELNUTS. CAN BE MADE WITHOUT HAZELNUTS.